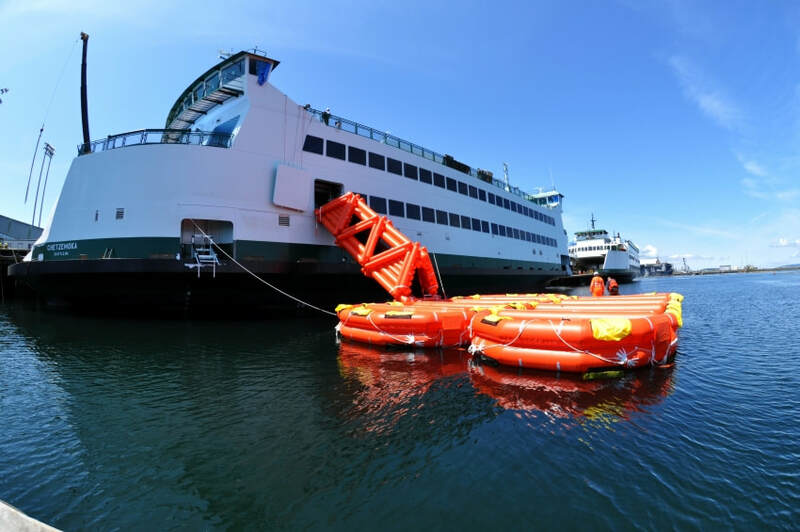 Located in Seattle, Washington for over 32 years, Puget Sound Inflatables, Inc. has established a reputation as a trusted supplier of life rafts, EPIRBs, PLBs, survival suits and other life saving equipment serving customers throughout the country. Our customers include every type of commercial fishing, passenger, merchant marine and military vessel. Additionally, due to an increased awareness of and focus on safety systems, sales of life saving equipment for use on recreational sailboats, powerboats and yachts continues to show strong growth. Puget Sound Inflatables is proud to act as U.S. west coast agent and authorized service facility for Liferaft Systems Australia. The Liferaft Systems Australia (LSA) marine evacuation system, which delivers passengers and crew, dry shod, directly into liferafts, has proven to be the safest and most effective means of marine evacuation. 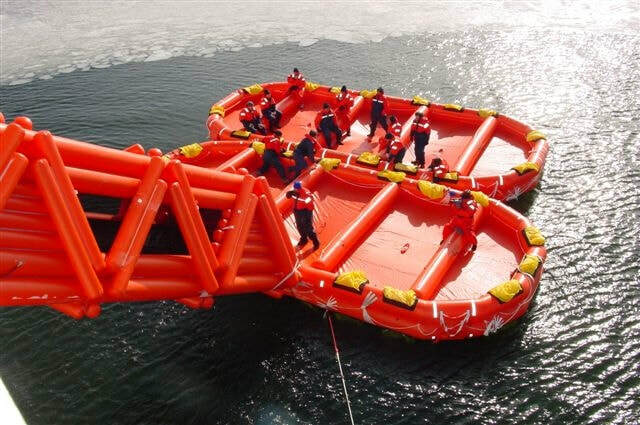 The LSA Marine Evacuation System (MES) is the only approved system in the world, which evacuates passengers and crew directly from the vessel into large capacity liferafts via an inclined evacuation slide, without the use of a boarding ramp of any type. 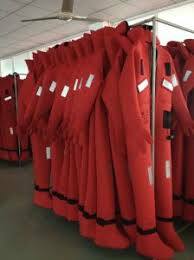 Our survival equipment market is no longer limited to marine applications. The approval of Personal Locator Beacons (PLBs) for use on land makes the satellite beacon rescue system available to outdoor enthusiasts of all kinds. Pilots, hikers, snowmobilers, kayakers and other outdoor enthusiasts now can benefit from the same satellite rescue system that has saved the lives of countless mariners for years. We are a factory authorized Battery Replacement Center (BRC) for EPIRBs (Emergency Position Indicating Radio Beacons) and PLBs (Personal Locator Beacons) manufactured by ACR Electronics. In addition to being a BRC, we are able to handle most warranty issues and have the necessary equipment for EPIRB and PLB testing and programming. We stock a complete inventory of EPIRB batteries, hydrostatic release kits, antennas and other parts to ensure speedy service of EPIRBs and PLBs. Please contact us for any of your EPIRB or PLB maintenance needs. We inspect and service all brands immersion and survival suits including immersion suits manufactured by Imperial, Stearns and Crewsaver. 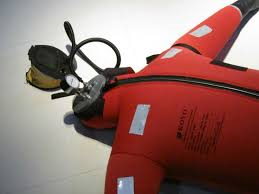 Our service and inspection process includes pressure testing of immersion suits for leaks, lubrication of zippers, testing of PFD lights or PFD strobes and proper folding and return of suits to storage bags.